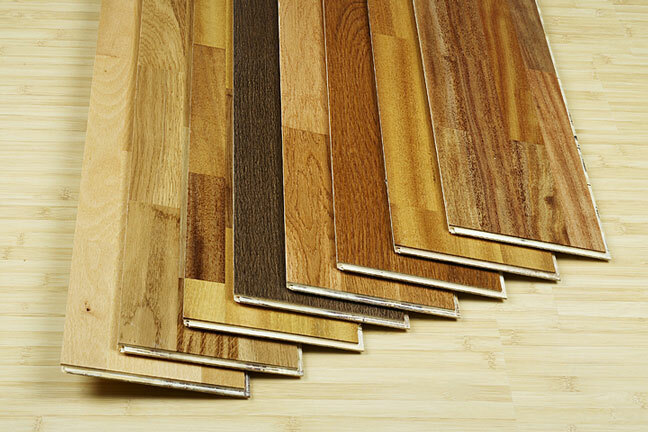 Laminate flooring is relatively new to the United States, but it has been used in Europe for 20 to 30 years. 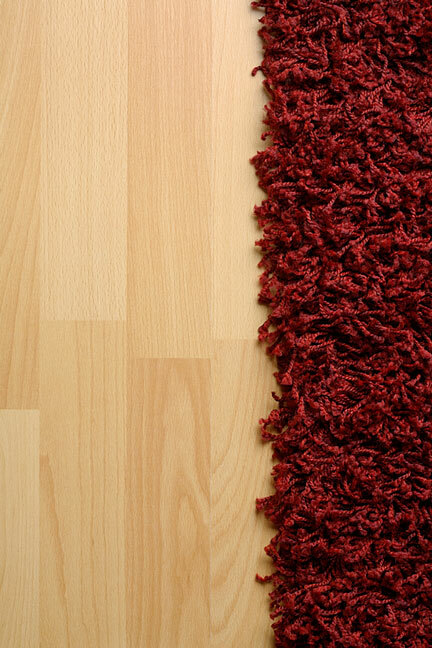 Laminate floors consist of a wear layer, an image layer, a processed wood core, and a balancing layer. Manufacturers use the image layer to mimic the appearance of wood, stone, or tile floor at a fraction of the cost. Laminate floors offer several advantages over more traditional flooring options. For one thing, they are impact and scratch resistant. They are also stain resistant and will not fade in the sunlight. However, if they do become scratched or stained, laminate floors are difficult to repair. For minor scratches, you can try wax crayons or putties matched to the color of your floor. For more serious damage, you may need to replace the entire plank or tile. This web page about repairing laminate floors discusses these concerns in greater detail. Laminate floors are also called "floating floors" because they are not attached to the subfloor but are installed on top of it. The tiles or planks fasten to each other and float over the plywood or cement floor beneath it. Some varieties of laminate floor glue together, while others "click" together. 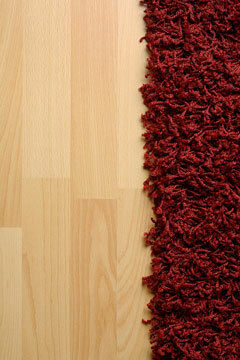 Laminate floors, especially the "click" kind, can be installed by most do-it-yourselfers. 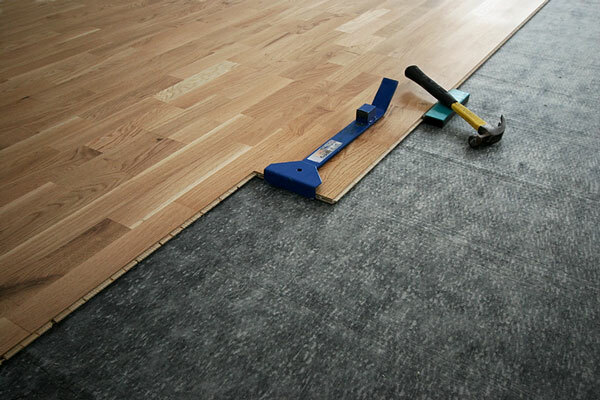 Check out these tips for installing laminate floors. Laminate flooring may be the easiest type of flooring to maintain. You simply need to vacuum, sweep, and dust-mop it regularly. For deeper cleaning, ask your floor manufacturer for a cleaning kit. The cleaning kit usually includes a terry cloth mop and a spray-on cleaning solution. You spray the cleaner onto the floor or the mop-head and then wipe the floor. Numerous manufacturers produce laminate floors, including Pergo, Balterio, and Quick Step.